Tablets are quickly reaching mainstream usage and with recent product launches from key brands, this could be the best time to jump into the fray and get a tablet. So let's take a look at a few of the best tablets available in the market. 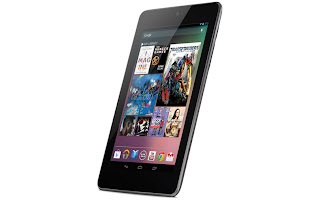 Google Nexus 7 - The Nexus 7 is the perfect tablet for budget conscious buyers. With a 7-inch high resolution display, quad-core Tegra 3 processor, Android 4.1 Jelly Bean, Google Play apps and low-price tag, it offers a premium tablet experience at a budget-friendly price. 3rd Generation iPad - If Android isn't your style, there's always the iPad. With a 9.7-inch retina display, dual-core A5X processor, iOS 5 (soon to be updated to iOS 6) and the App Store with the largest number of tablet-optimized apps, the new iPad is one of the best tablets on the market. So head on over to eBay and join the post-PC revolution.